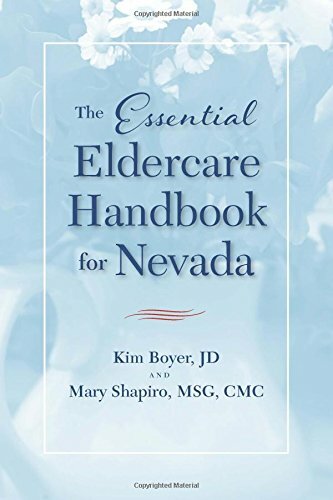 9780874179415 | 1 edition (Univ of Nevada Pr, March 18, 2014), cover price $21.95 | About this edition: The senior years can be daunting, for spouses, children, other caregivers, and seniors themselves. 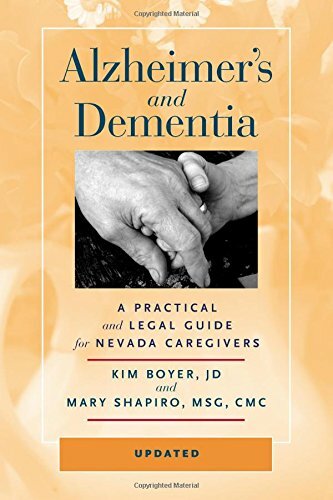 9780874178586 | Updated edition (Univ of Nevada Pr, October 28, 2011), cover price $21.95 | About this edition: Â Â Â Â Â Â Â Â Â Â Â Individuals or families receiving a diagnosis of Alzheimerâs disease, dementia, or brain damage from a stroke face daunting questions: how to provide for care when the patient can no longer manage his or her own affairs, how to protect their rights and property, where to go for help, and how to cope with the day-to-day challenges of fading memory and diminished cognition. 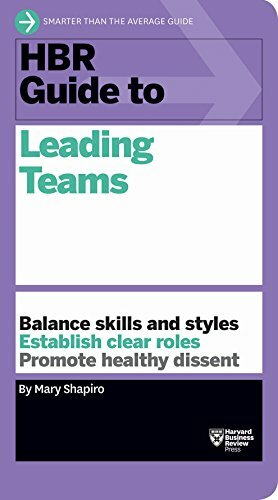 9780874176605 | Univ of Nevada Pr, April 3, 2006, cover price $19.95 | About this edition: A comprehensive guide for Nevada patients and their caregivers offers advice on finding the right physician, available state resources, the legal and financial steps that patients and their families can take to protect themselves and their assets, and dealing with daily physical and emotional challenges. 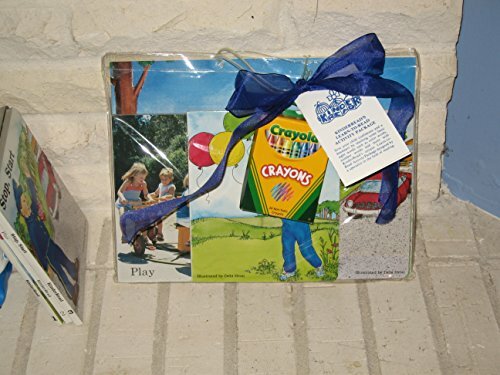 9780934361002, titled "Kinder Read's Learn-To-Read" | Kinder Read, September 1, 1994, cover price $14.99 | About this edition: An almost self-taught approach for preschoolers to introduce them to the wonderful world of reading through 3 colorful boardbooks and one activity book which reinforces basic sight words in an easy delightful approach.